Having friends at work makes a huge difference in your overall workplace happiness, engagement, and stress levels. In recent years, people are developing social connections less and less than in the past. Because we are able to keep in touch with our friends from outside of work so easily through social media, and due to productivity and efficiency expectations, our focus on workplace friendships has decreased as a society. While your work friend certainly doesn't have to be as close as friends you have outside of work, feeling cordial, supported, and connected to individuals in the workplace has many positive impacts on productivity, mental health and longevity in a role. How do you make the time each day to do your best work? Or organize your schedule in order to be more creative and productive? We all have our personal quirks that get us going in the morning, whether it be a routine cup of coffee, or a 20-minute treadmill session. Pondering about unique productivity hacks is what inspired me to pick up the book, Daily Rituals: How Artists Work by Mason Currey. We all do it. Texting and walking, sending emails during meetings, chatting on the phone while typing up emails, having conference calls on speakerphone while continuing to do other projects. 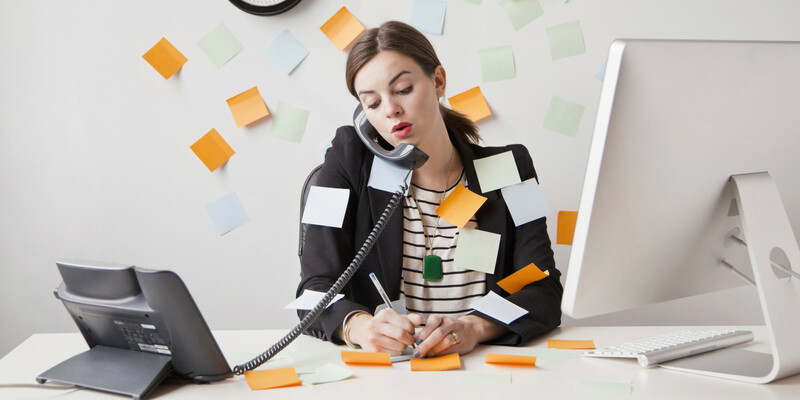 You might wondering if you are actually getting more done and saving time when you multitask. How efficient is it really? Although “procrastination” is a term we associate more with our past experiences in school, there is no denying that this issue manages to sneak its way into workplaces as well. Procrastination may not be concerning to us at all, especially if we end up completing all of our tasks before (read: right before) the deadline. Although procrastination is still not very well understood it has been been linked to some negative effects on well-being. Incorporating fun at work is essential for increasing employee motivation, productivity, and reducing stress (Karl, Peluchette, Hall, & Harland, 2005). A Step Ahead is a new and popular wellness game developed by Mike Tinney, chief executive of Fitness Interactive Experience. With a story that unravels over the course of each of the challenge’s 6 week episodes, teams race from safe house to safe house, building up to a climactic rescue attempt. By incorporating team-based and socially-connected challenges, A Step Ahead has effectively put a fun spin on conventional pedometer programs. Workplace Wellness: What We Can Learn From Google Inc. If you have seen the movie The Internship, Google Inc. would seem like the dream workplace for you! Truth be told, the film is not far off from reality as the tech giant has been awarded the number one spot in Fortune Magazine’s 100 Best Companies to Work for three consecutive years. Find out why Google Inc. is at the pinnacle of workplace wellness! If yes, you may be experiencing sleep-deprivation and its time to take a nap!